Question: My new dog seems afraid of things my previous dog never had issues with. Will she get over this once she learns my patterns? 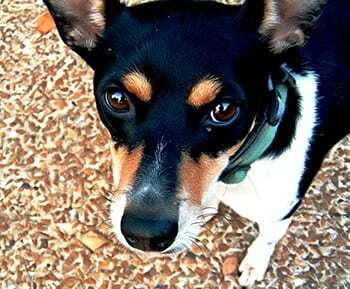 Perhaps, but your new dog will likely always be hesitant and unsure in new situations. It also depends on the severity of her anxiousness. Anxiety is the anticipation of potential danger and is a core emotional personality trait in varying degrees in all dogs. Your dog won’t just wake up one day and not be anxious anymore. Having an anxious dog can pose some real challenges for guardians. Everyday things such as crossing streets, meeting new people or jumping into a car can be terrifying experiences for anxious dogs. 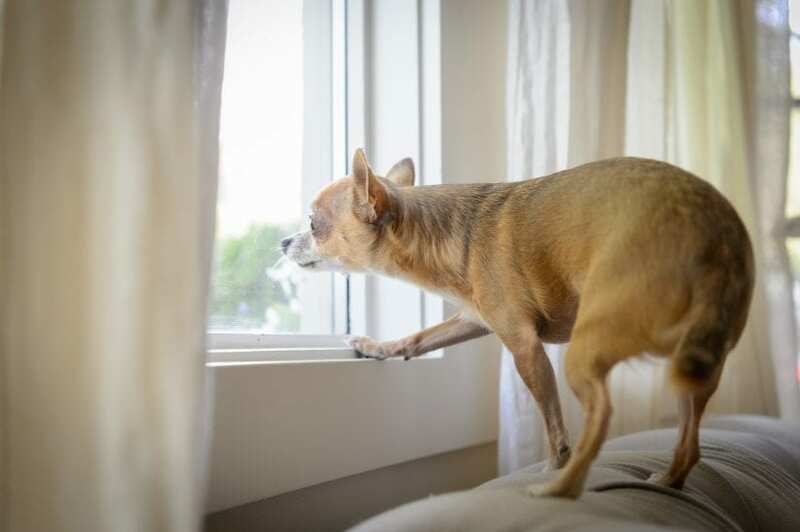 Even though we know there is no threat, your dog’s anxiousness is real to her and she is anticipating potential danger. How do you recognize anxiety? Lip-licking, yawning, tensing muscles, turning the head away, hiding behind you, panting, trembling, cowering, lifting a paw and tail-tucking are just some of the behavioural signals that your dog is feeling anxious. The signaling escalates the more stressed the dog becomes. Forcing dogs into situations that make them anxious will make things worse and could lead to your dog moving from anxiousness to fearfulness. It would be like taking someone terrified of heights up a glass elevator against his will – he becomes terrified. Fearful dogs use freeze, flight or fight to cope. A better approach is to watch your dog’s behaviour closely looking for stress indicators, as above. Then move away from the trigger – perhaps it’s another dog, a group of children or a novel object – and see if your dog relaxes again. Treatment takes time and patience. It begins by helping change their emotional state so they feel safe in the situations that make them uneasy. Maybe it’s a fear of stairs. Allowing a dog to assess the situation and go at her pace helps her overcome her fear. Liberally tossing treats at the top of stairs helps change her emotional state: “good things happen near the stairs.” Treats and praise, and giving her the chance to decide on her own if it’s safe, helps her realize stairs are not a threat. Building her confidence and trust is key. For in-depth help, pick up a copy of The Cautious Canine by Patricia McConnell. For more tips on dog care and behaviour, check out our dog pet care section.